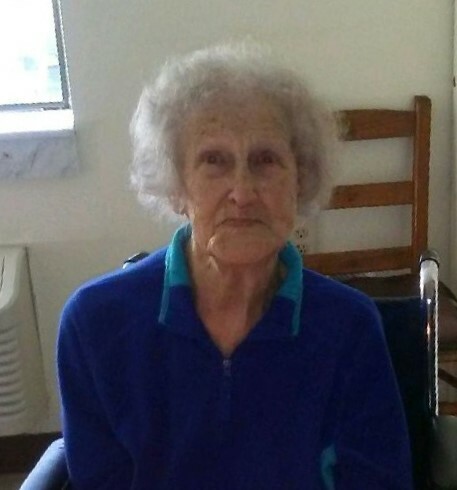 Mrs. Anna Pauline Gray Emmons, 93, of Owingsville, Kentucky, passed away Wednesday morning March 27, 2019 at the Pioneer Trace Nursing Home in Flemingsburg, Kentucky. She was born on October 22, 1925 in Bath County, Kentucky to the late Jim and Lilly Calvert Gray. Mrs. Emmons retired from the Hilltop Lodge Nursing Home in 1996. She was loved by all that knew her and dearly loved spending time with her family. She enjoyed farming, going to auctions and bluegrass square dancing. She also was an avid Harley Davidson fan. Besides her parents she was preceded in death by her husband, Dayton Emmons who passed away in 1985, three brothers, Dayton Gray, Ester Gray and Lester Gray, two sisters, Lottie Perkins and Lillian Garrard. Survivors include her daughter, Linda Hornback of Owingsville, two grandsons, Darrin Campbell( Courtney Marissa Stanton) and Jackie Hornback (Jennifer), one great granddaughter, Hayley Ginter (Kevin) and one great great grandson, Landon Ginter. Funeral services will be conducted 2:00 P.M. Friday, March 29, 2019 in the chapel of the Michael R. Gray Funeral Home in Owingsville with Bro. Cleve King and Bro. Billy Harmon officiating. Burial will follow in the Longview Cemetery in Bethel. Visitation at the Michael R. Gray Funeral Home in Owingsville will be from 12:00 P.M. to 2:00 P.M. The Michael R. Gray Funeral Home in Owingsville, is handling all the arrangements for Mrs. Anna Pauline Gray Emmons.